The Farm Science Review Agronomy College is held in partnership between the Ohio AgriBusiness Association & OSU Extension. 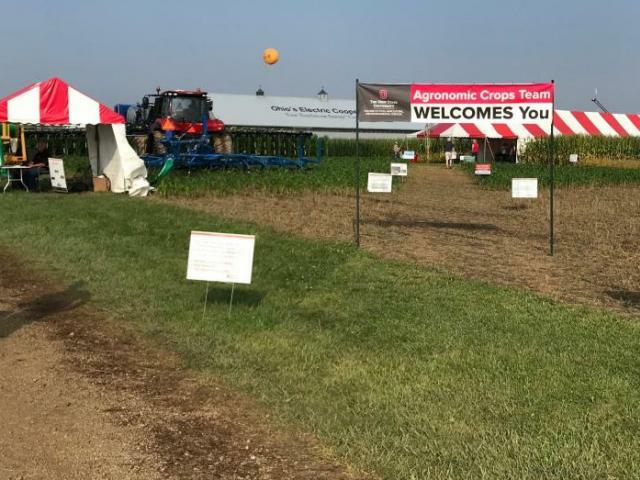 The event is designed to educate agronomists, Certified Crop Advisers, custom applicators and farmers on current agronomic crop issues. Got Weeds, Insects, Diseases? It’s been a great year for pests. Want ideas to try on Variable Rate Soybeans? Time: Check-in begins at 8:30 a.m.; sessions begin at 9 a.m. and conclude at 4:00 p.m. Contact: Janice Welsheimer at 614-326-7520 or by email: jwelsheimer@oaba.net, or for additional information, contact Harold Watters at 937-604-2415 or by email: watters.35@osu.edu.